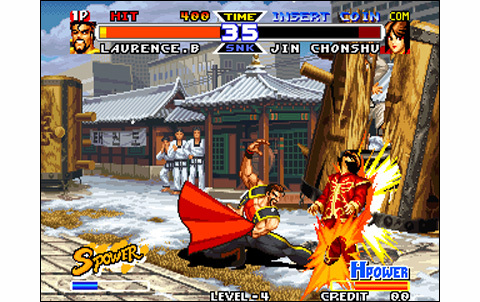 If there's a saga perfectly representative or emblematic of a videogame system, it's The King of Fighters for the Neo Geo. And you might tell me "hey mister, and what about Fatal Fury? It's even more than this. 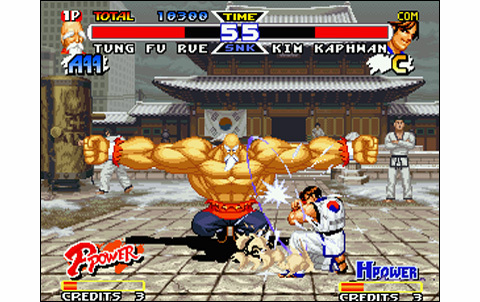 Apart from standing as the illustrious ancestor of Kof, it's still the first VS fighting game ever made for the Neo Geo, and so the beginning of the mythic "Southtown Series": Art of Fighting was released a few months after Fatal Fury. 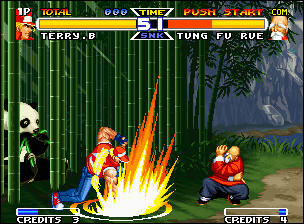 We are in 1996 when Real Bout Fatal Fury Special (fifth game in the FF series) hits the arcades. 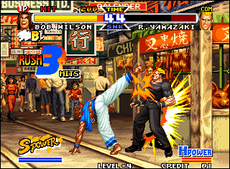 2-D fighting is changing, you only have to see Capcom and its recent Street Fighter Zero (Alpha) to convince yourself. All videogame companies have revamped their biggest arcade hits, and SNK is the part of the journey with the new FF. 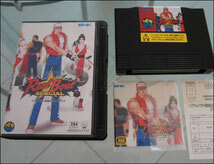 Fatal Fury 3 was already contrasting sharply with the fabulous Fatal Fury Special, Real Bout had laid new foundations and more complete gameplay mechanics, and this Real Bout Special provides even more. More beautiful, more playable, more fun, more characters! With its 394 megs and the experience of the programmers who worked on the game, you might guess this new installment is a pure delight. 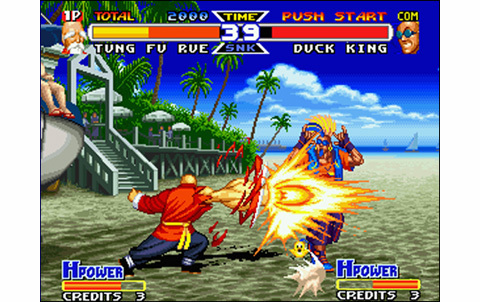 It features no less than twenty playable characters (you even can unlock the legendary Geese Howard with Unibios 3.0 or codes), plus four characters also available in their EX versions (different moves, special moves and appearance). 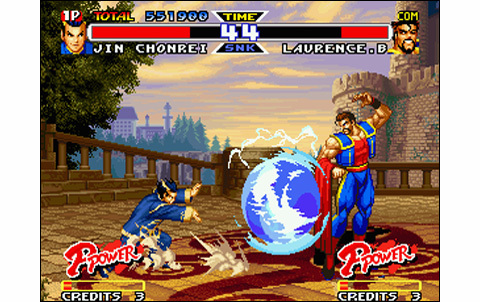 The combos are legion, and it will take time to master techniques and the many combos: at least hours and hours with your favorite character! 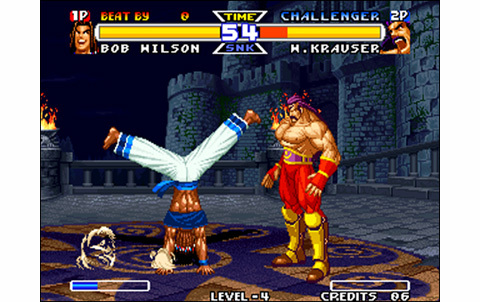 For experts, each round is rated based on your performance (D, C, B, A, AA, AAA, S, Miracle) and it's still a challenge ahead, because at the end of the game your notes are recorded, and then you know your fighter rank. 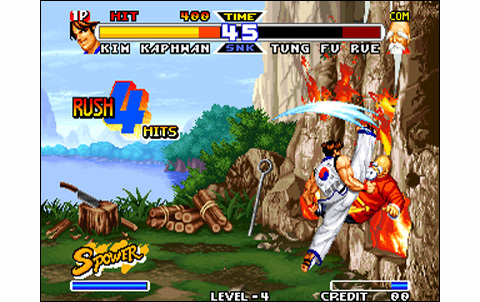 Four buttons are used, but a little differently than usual: punch with A, kick with B, powerful blow (punch or kick, depending on your position) with C and plane change with D. It's simple, intuitive, and leaves a lot of place for simple techniques and combos, more easy to learn. 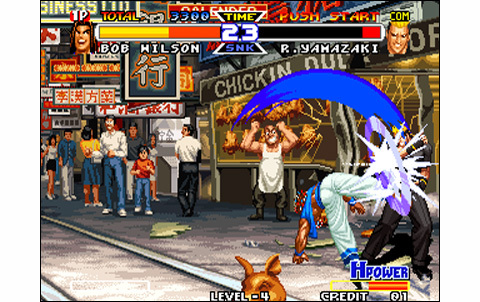 The hitboxes and timing are a little more permissive than in other SNK games, like Samurai Spirits or Kof. 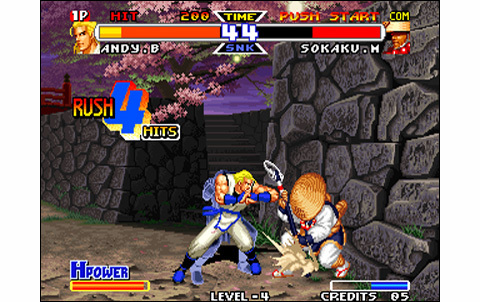 As a result, we feel like playing in a much more accessible game, still providing fun and simplicity as Breakers does... but even better! 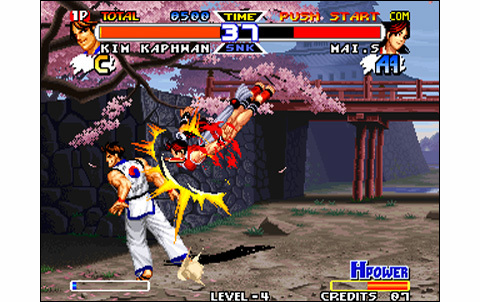 Besides adding many combos that can be performed on one or even two planes, each character have two furies and a plethora of special moves. 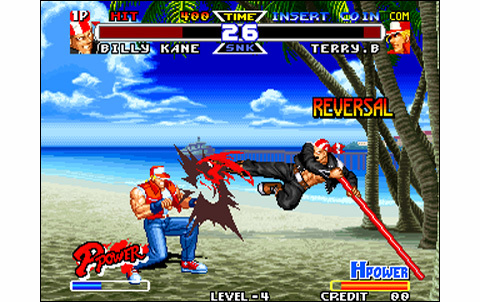 It's also possible to destroy some parts of the backgrounds (left and right corners in general) by pushing the opponent bouncing on, and eventually break it. A good detail more, fun as hell, that many players might enjoy. Not to waste anything, graphically, it's a blow: the stages are highlighted by a short traveling with graphic effects that leave the best impression. The depth is well made, the colors chosen brilliantly. 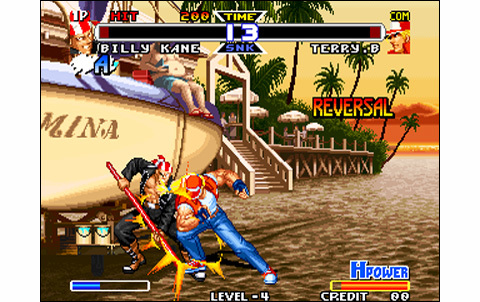 As always in Fatal Fury, the weather changes depending on time of day and round. Beach, Hong-Kong streets, japanese river bed, Korean dojo... the locations are exotic! Ditto for the characters, which are remarkably drawn. 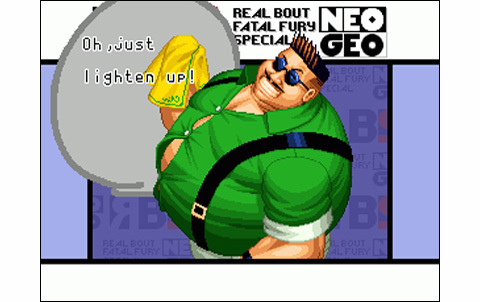 Large, detailed, a little more cartoonish than what we've seen from SNK before, but this makes some good change. Hard to criticize the game on this chapter, as it's so great and polished. Everything has been refined close to perfection. 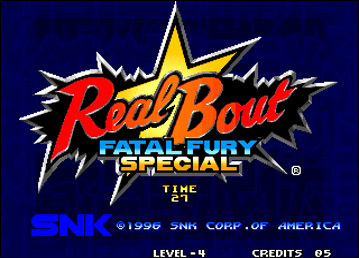 Smooth, fast and fluid: in 1996, the new standards of VS fighting are high, and Real Bout Special stands as the cream of the crop here. Remixed themes, numerous vocals, smashing effects: incredible atmosphere! 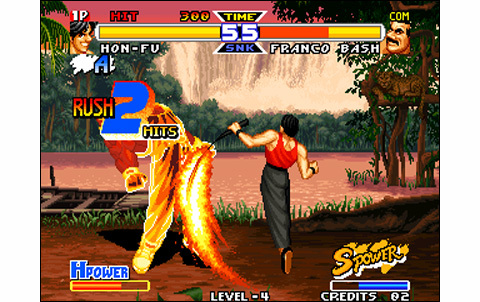 Twenty characters roster, special moves and combos to discover: it leaves some hours ahead! 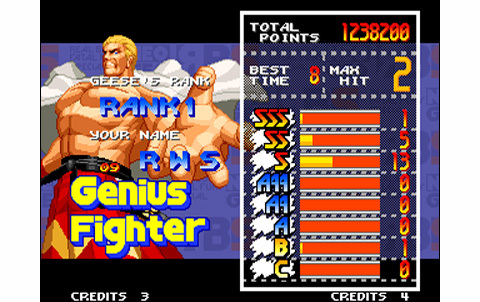 Mixing pure SNK gameplay and some "Capcomesque" sensations, it's exotic. 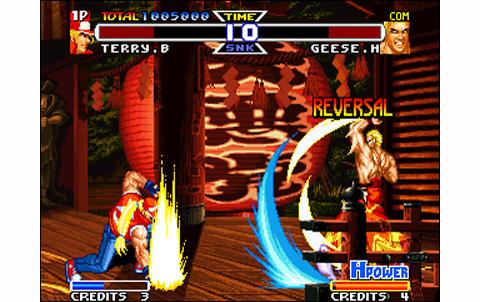 Moves come out easily, and it's a pleasure to link combos and furies. 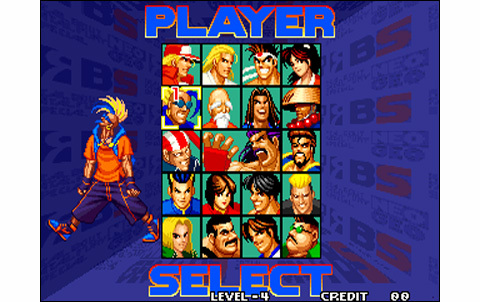 A great alternative to the Kof series. 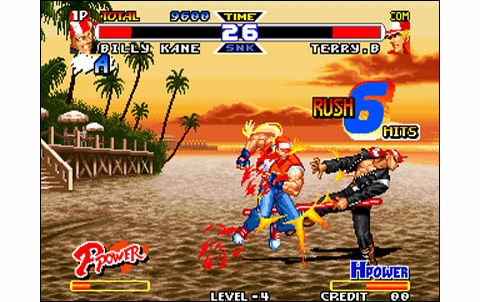 Without being as deep and complex, RBS packs fun and pleasure you can hardly find in another games. IMO, Real Bout Special offers a very good rate. Spending 80 to 100 euros for a japanese version might look a little expensive, but the game's definetely worth it. 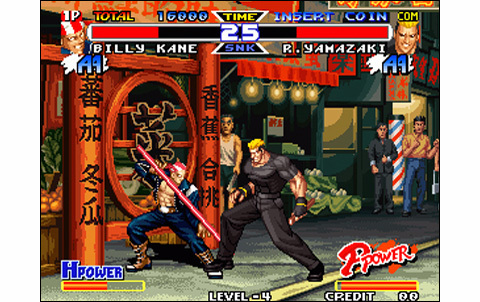 You'll spend a lot of time on it as well trying to clear it on the solo mode and on great versus battles!